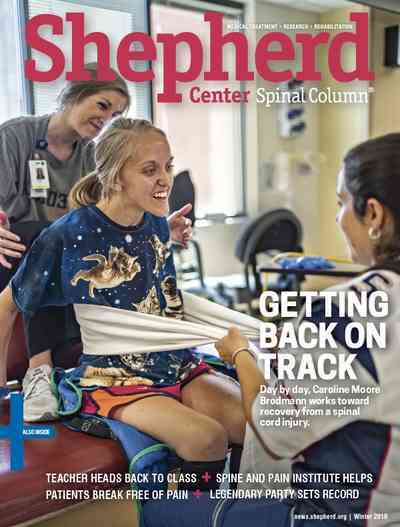 Spinal Column is Shepherd Center's quarterly magazine that features patient profiles, medical and treatment news, upcoming events, research features, volunteer and donor recognition and more. 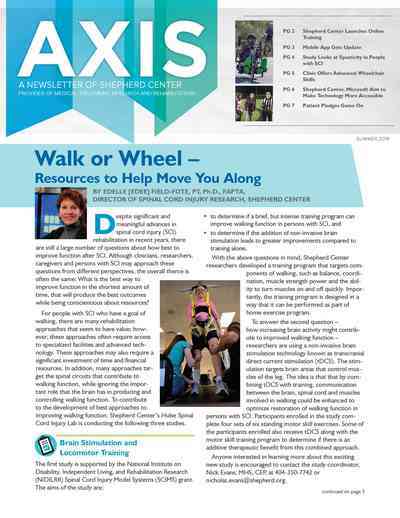 AXIS is a newsletter published by Shepherd Center that covers news and information about research, medical treatments and healthy living for people with spinal cord injuries. 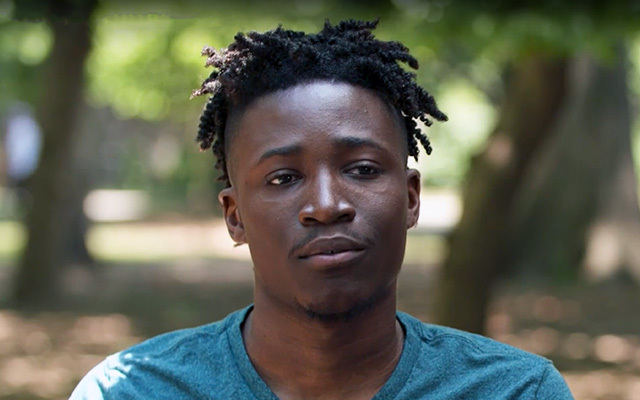 It is published twice per year. 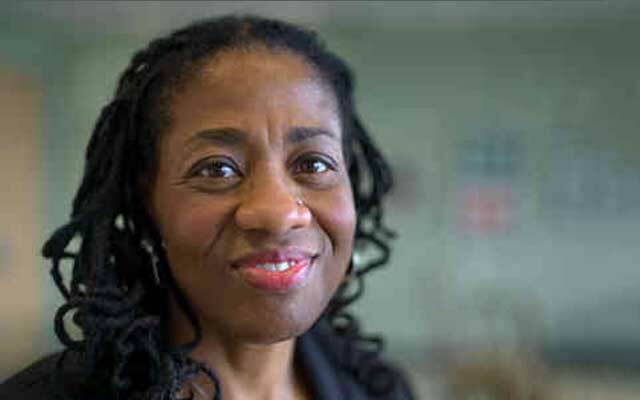 For more information about the National Institute on Disability and Rehabilitation Research (NIDRR), click here. 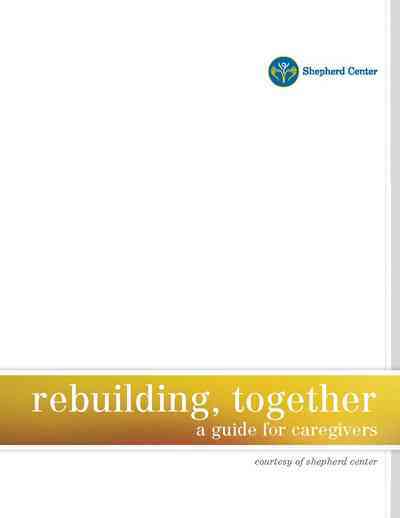 Tips and advice for a patient’s loved ones that may help you through these first weeks. 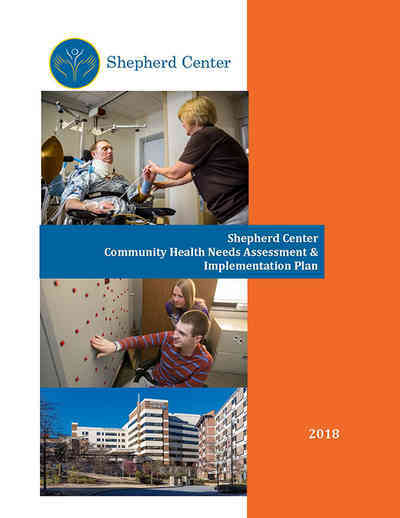 Shepherd Center’s Community Health Needs Assessment (CHNA) and Implementation Plan is intended to enhance the health and wellness of people with spinal cord and brain injuries when they return to live in their community. 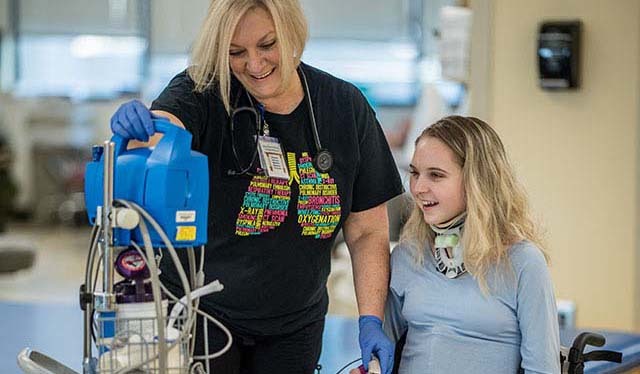 As a not-for-profit, 501(c)3 hospital, Shepherd Center relies on donations from individuals, families, communities and foundations to fund a number of programs that directly benefit our patients and their families. 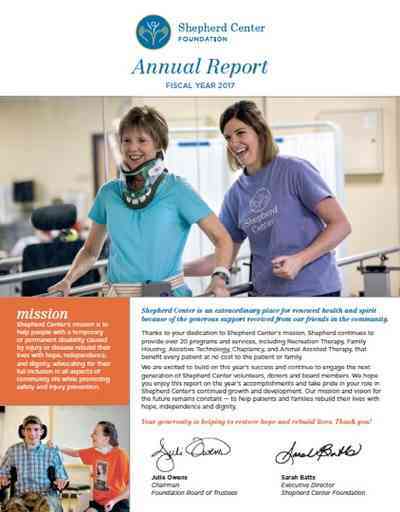 The 2017 annual report provides an overview of the Shepherd Center Foundation's financial contributions and funding sources. 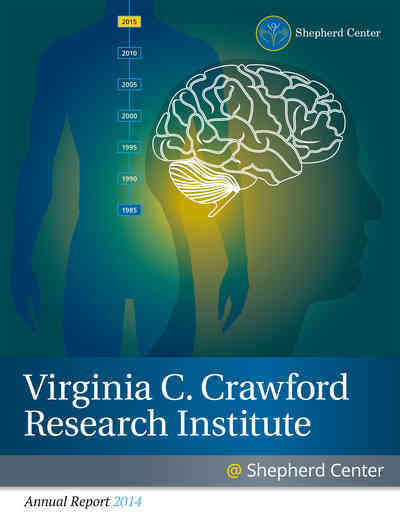 The Virginia C. Crawford Annual Research Report highlights research studies, clinical trials, activities, publications and presentations completed by researchers in the Virginia C. Crawford Research Institute. 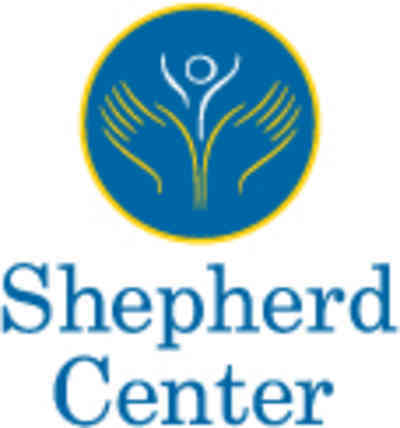 Shepherd Center requires that financial arrangements for charges for all services be made prior to or at the time of admission/registration. Assignment of benefits for all verified insurance is accepted towards payment of hospital charges for services rendered. 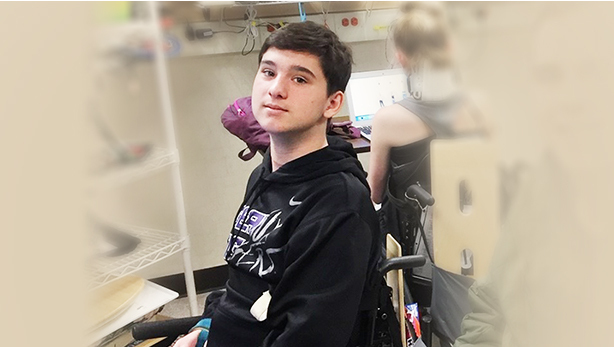 Financial assistance for indigent/charity patients may be available through a systematic and consistent process for the collection of information sufficient to provide determination of eligibility for financial assistance for amounts owed that are the patient or guarantor’s responsibility. 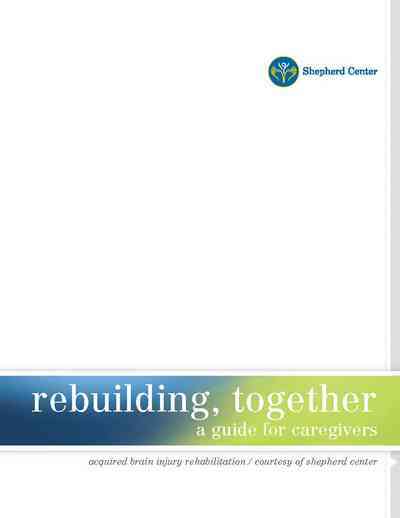 Due to the changing nature of coverage for Shepherd Center services, all patients will be asked to complete a financial screening form, (as deemed appropriate) at the time of admission or registration regardless of expected insurance coverage.